Hi. Hope someone can help. 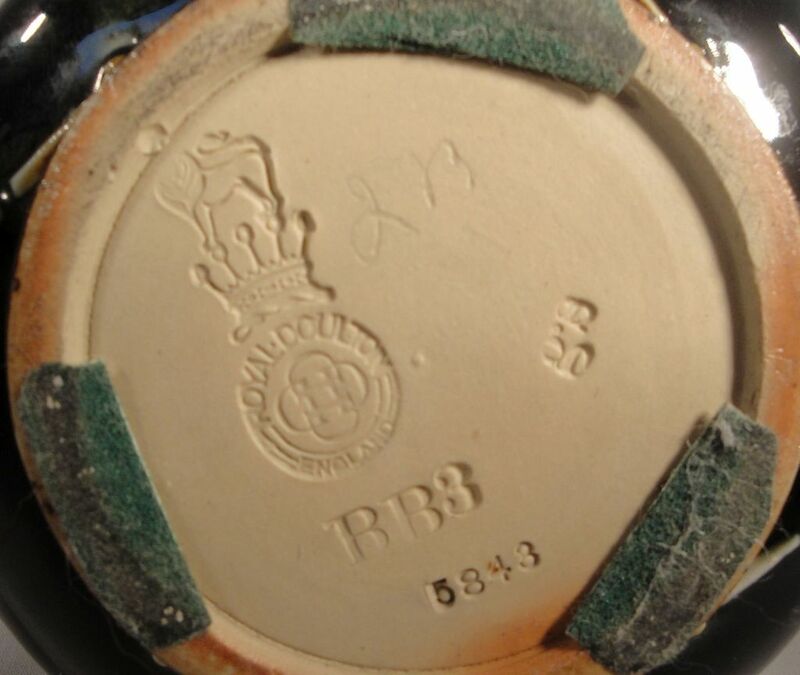 I found this Royal Doulton Art Nouveau vase at one of our local auctions in the North West of England and although fully marked I have only so far been able to date the piece from the backstamp so am hoping that someone else might be able to fill in the gaps for the rest of the marks. and what I believe is the artists signature which could be QB (the first letter I think could be an old fashioned Copperplate capital Q - but I could be completely wrong on that). It is actually one of a matching pair that I bought, but I thought for id purposes, images of only 1 would be ok. If anyone would like to see the pair together get in touch and I'll post a new image. Can you show the bottom of the other one? It could also be a JB. Hi. Thanks for getting in touch. Here's an image of the base of the other piece. 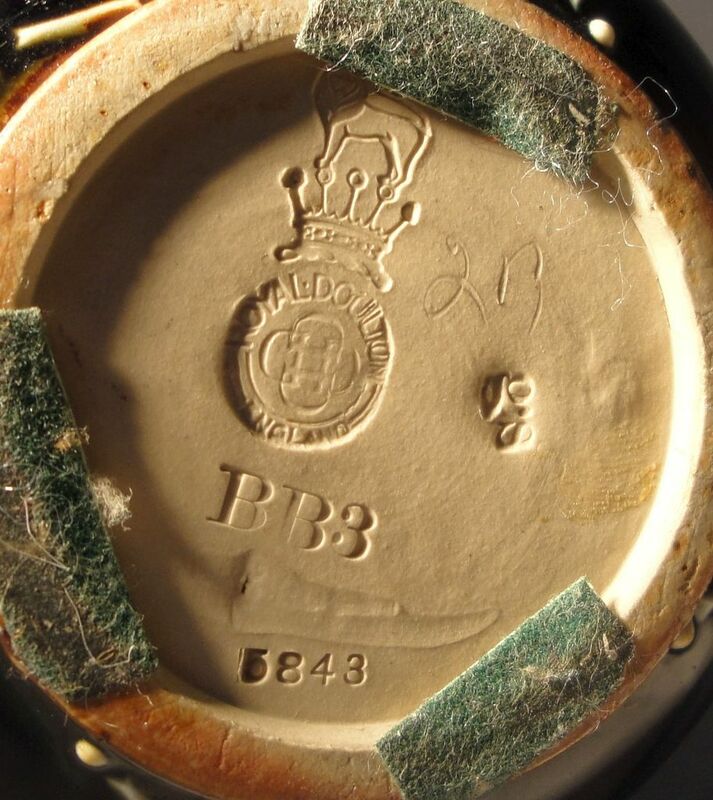 The crown mark on your base was used from 1922 - 1956. 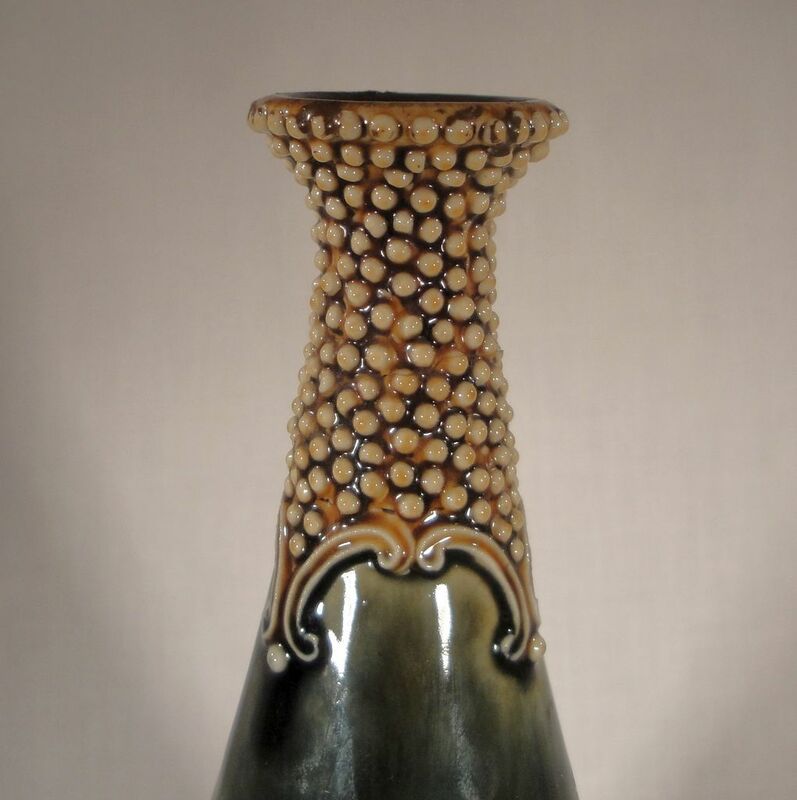 Your vase is part of something called "New Style Wares" introduced about 1912. They can be designed by famous artists but tend to only be signed by assistants. I have had a look and I can't ID the LR or LB or anything similar, its very possible it is not signed at all and what you have is part of the design ID. Th is period is getting very popular at the moment because it is still affordable as a way into collecting Doulton. 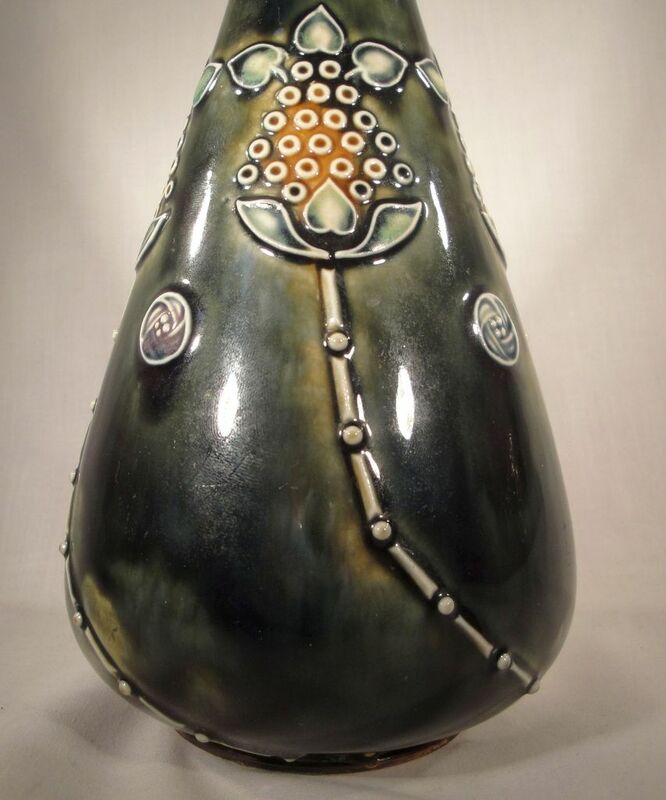 I have seen your vase several times before and it appears to have been one of the popular editions. To get unique one off designs I'm afraid you normally have to go before 1905 when the art pottery was most popular but obviously the prices also go up.